When it comes down to supporting music, I’m all about the local talents. So when Gabe Gallucci sent me his latest mixtape – I had to put it up. 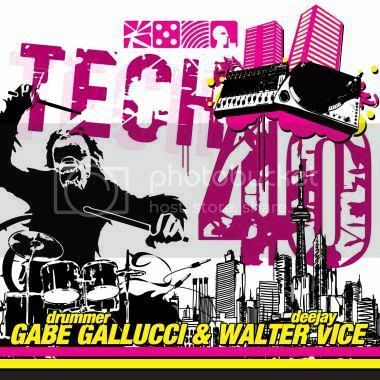 For those who haven’t heard about Gabe, he is known for his live drumming sessions while playing along side to DJ at night clubs and events. 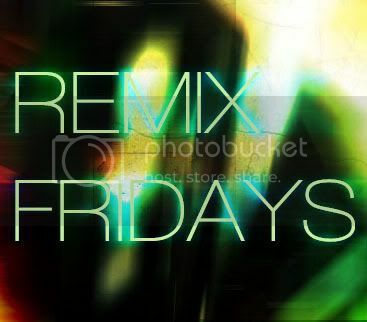 The latest mixtape that he just released with DJ Walter Vice is 70 minute mix that combines the musical stylings of Top 40 and Tech House with compliment’s of the drums. Once again, DJ Earworm is back again with his annual Mashups of Billboard’s Top 25 songs of the year. I have huge respect for DJ’s/Producers such as Earworm because mastering and mixing these tracks into one is not a simple task. I’m just glad that he is getting the attention from music listeners across the world since his 2009 release. 2010 is coming to an end, therefore blogs and websites everywhere are making their “Best of 2010” list. One of favourites is Bootie’s Best of Bootie 2010 compiled and mixed by A Plus D. You can check out 2009’s Best of Bootie here. Titus Jones is back again. I have been following this DJ since DAY 1 of Room-Noise. I am so surprised he hasn’t been blown up by YouTube or other Social Networks, because to be honest… he is my favourite Mash-Up DJ of all time. Titus Jones, is just a 22 year old college student who has a great talent in combining many songs into one perfect mix. As a student who is studying music production in University, I know an awful mix when I hear one. Therefore, when I say that Titus Jones does the best mash-ups, I mean it. Check out some of his latest works. This guy needs to become the next DJ Earworm.